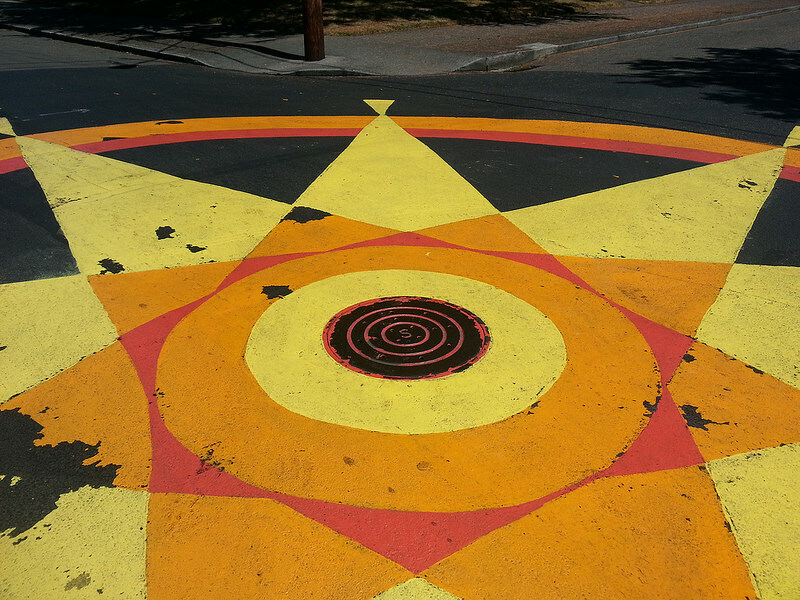 The painting symbolizes the many bikes that pass through the intersection every day, as well as the "sunny" in the neighborhood name. At the time of the first painting, there were plans for a bike kiosk with a bike map and tools, as well as a Little Free Library for kids and adults. A bike carnival with live music, a bike rodeo for kids, carnival games, juggling and hula hoop lessons for all ages, and food followed the painting.